In every service industry, perception matters to customers. If you’ve ever been to a restaurant where the staff has mismatched or unkempt uniforms, you may immediately judge the establishment as unprofessional or lower end. When you visit a mechanic, seeing employees in matching shirts adds a level of professionalism. That perceived professionalism may consciously or subconsciously translate into a trust of services provided. These examples are no different as compared to the medical field. 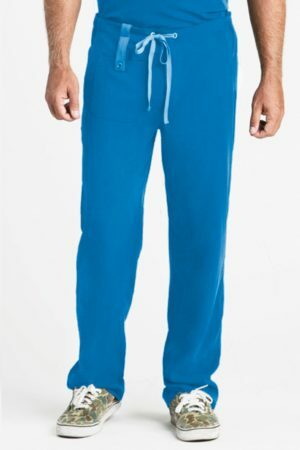 Medical professionals with mismatched or missized scrubs may be seen as unprofessional to new or existing patients. 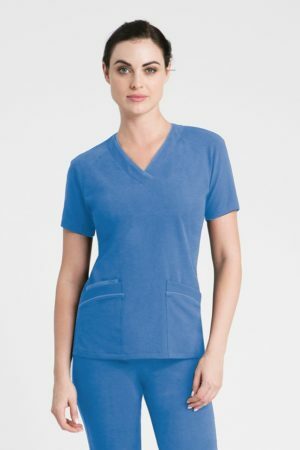 While something as seemingly insignificant as the type, color, and fit of scrubs your staff wears, studies have shown that businesses who allow an undisciplined dress code in the workplace can fall into the trap of being seen negatively by clients and customers, including the healthcare industry. That’s why it’s important, especially in the highly competitive medical field, you need to find the right attire for your staff. This can, in turn, increase revenue for your healthcare facility and raise wages for your staff. Image is everything when it comes to business. This is especially true in the medical field where patients demand consistency, comfort, and great quality of care. The less variables they encounter upon entering your healthcare facility, the more welcome and at ease they will feel. When the medical staff within a healthcare facility show uniformity, patients will perceive your staff as well organized, professional, and knowledgeable. Couple that positive experience as they walk through the door with superb treatment and patients will be more likely to return to your medical facility rather than seek treatment elsewhere if the need arises later down the road. This customer retention is key in nurturing a sustainable business and encourage growth. Your best customer is a happy customer, and when they have a great experience at your healthcare facility, chances are they will be more than happy to share their positive experience with friends and family or leave a shining review which can lead to referrals or an increase in foot traffic. And while the standard of care goes a long way in the patient experience, it all starts with how a potential patient perceives your facility. When referrals step through the door, they expect to be greeted with the same level of professionalism as the person that referred them. Falling short of these expectations can drive these patients away in search of a new healthcare facility they find better suited for their needs. And since first impressions matter, having a unified and professional medical staff in well-designed matching scrubs ready to greet them goes a long way in meeting expectations and retaining these referrals. With an increase in patient retention and referrals comes increased revenue for your facility. His newfound success provides you with ample opportunity to continue growing your business by modernizing outdated equipment to give patients a higher quality of care, open a new facility to provide treatment to more people in new areas, or increase the pay of your dedicated medical professional staff to reward and retain hardworking personnel. While growing your business is a difficult path to navigate, succeeding in the medical industry starts with a professional and organized medical staff. By providing patients with a positive first impression and following up with superb medical care, your healthcare facility can realize true growth and expansion. And The first step starts with Stitch Lab LA. 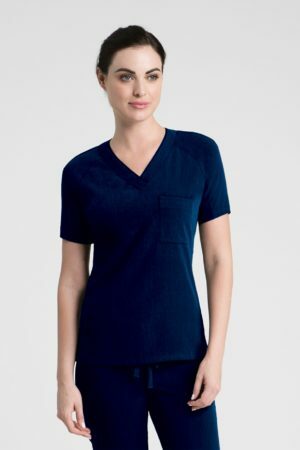 Our luxury medical apparel is fashionably designed using durable high-quality materials that offer a full range of motion and long-lasting stitching while giving your healthcare workers a professional look your patients and staff will both love. Experience the future of medical apparel with Stitch Lab LA today.